Dr. Charles David Baird was born June 12th, 1914 in Blenheim, Ontario. His parents were William James Baird and the former Elizabeth Hall. 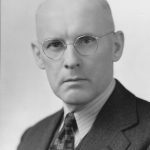 His father, W.J. Baird was a well-known citizen of Blenheim, starting as a teacher and becoming the Principal of the local school in Blenheim. He eventually became the postmaster in Blenheim in 1916 and the W.J. Baird Public School on King St. in Blenheim, is named after Dr. Baird’s father. Dr. Baird was educated at the Blenheim Public School and the Blenheim High School. He had an older sister named Jean. Dr. Baird’s office was located at 43 Victoria Ave., in Chatham. Dr. Baird was Chief of Ophthalmology at the Public General Hospital and St. Joseph’s Hospital. 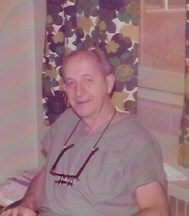 He was a member of the Kent County Medical Society and he served as President in 1959. Dr. Baird married Margaretta ‘Ruth’ Macdonald. She was born on the 1st of August, 1919 in Chatham, the daughter of Leland S. MacDonald and the former Harriett Goodland. She had a brother named Lee. Mrs. Baird graduated as a Registered Nurse, from the Public General Hospital School of Nursing in 1940. Dr. and Mrs. Baird had 2 daughters, Linda and Andrea. 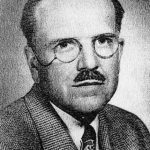 Dr. Baird was a member of the United Church and he was a 32nd Degree Mason. He enjoyed golfing, sailing and stamp collecting. Dr. Baird was also an accomplished artist. Dr. Baird died on the 9th of November, 2005 and he was buried at Evergreen Cemetery, in Blenheim. 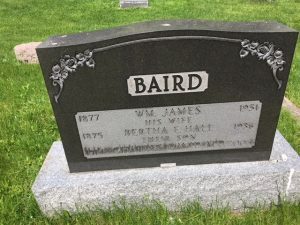 Mrs. Baird died on the 7th of December, 2007 in London, Ontario. *Dr. George Bryce Kendrick also appears on the Chatham-Kent Physician Tribute website.